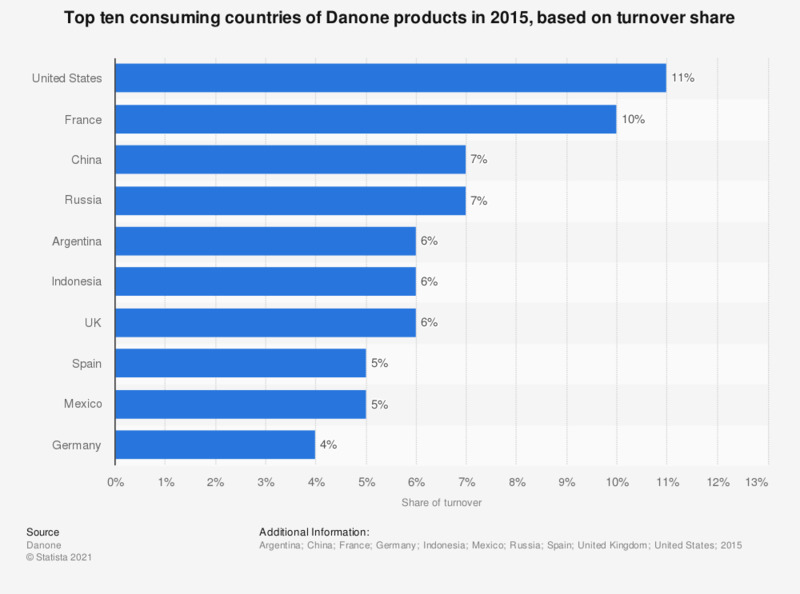 This chart shows the ranking of the top ten consuming countries of Danone products in 2015, based on the share of turnover achieved. With more than 10 percent of Danone's turnover, the United States was at the top of this ranking. U.S. population: Do you eat bacon?